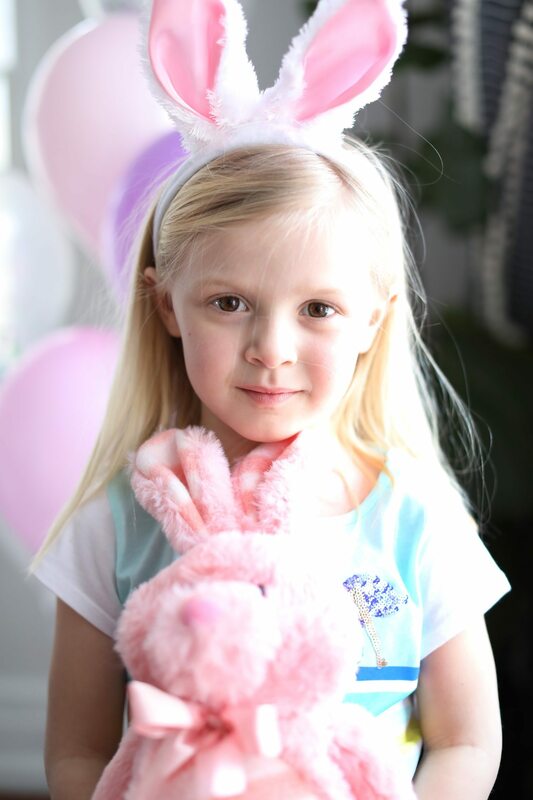 As a kid Easter was always one of my favorite holidays! (Actually, as a grown up it still is!) 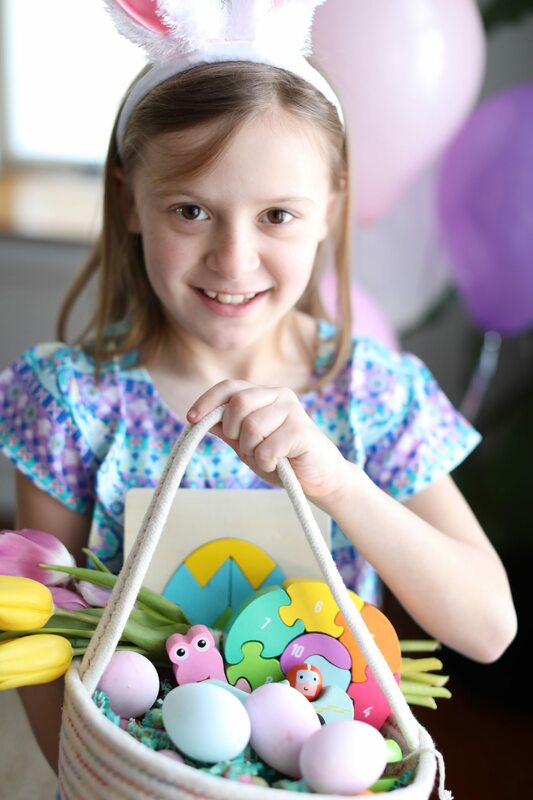 I loved that I got a cute new Easter dress every year, I loved waking up to a basket stuffed full of goodies, but mostly I loved decorating eggs. 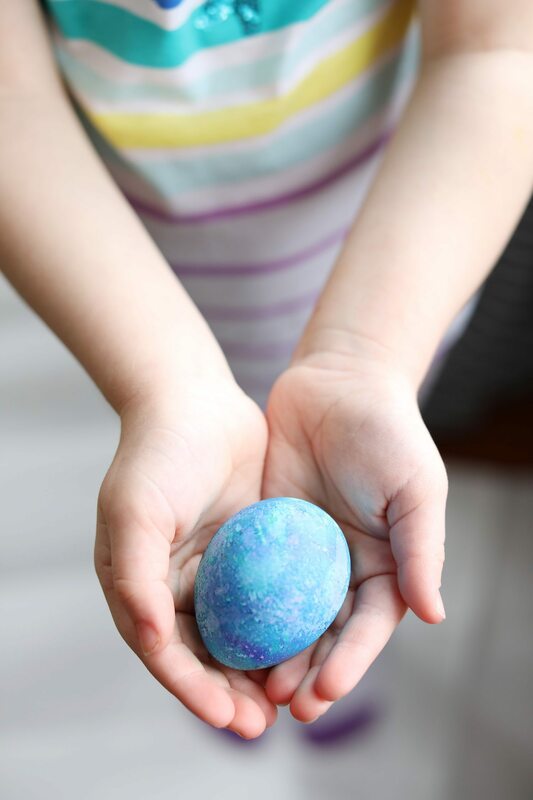 My mom and my aunts would often get us together with our cousins to spend an afternoon coloring eggs a few days before Easter so they could be whisked off and hidden in the middle of the night by the Easter Bunny. 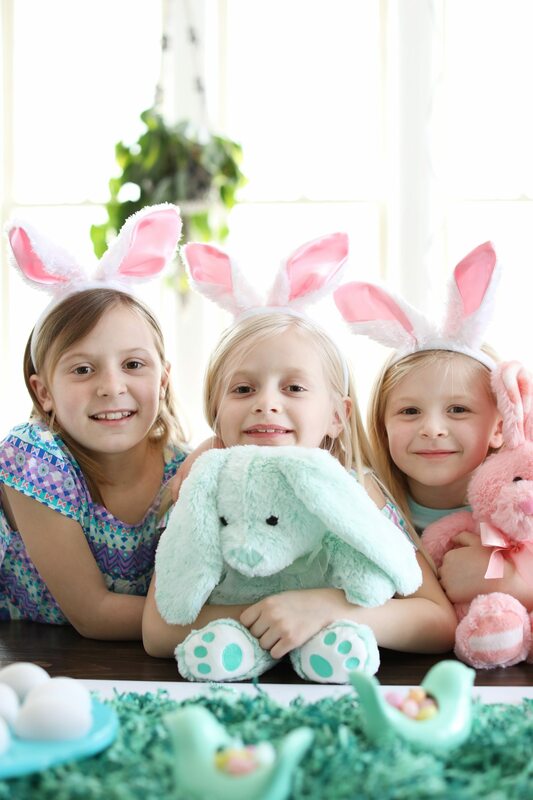 Over this past weekend, Em and I did the same, inviting her cousins over for a fun-filled day of Easter glee! Now that she’s a little older, it’s so much fun to begin passing down these traditions. (I should note that she’s not actually in a single one of these photos though because she wasn’t having it. Two years old with a mind of her own!) 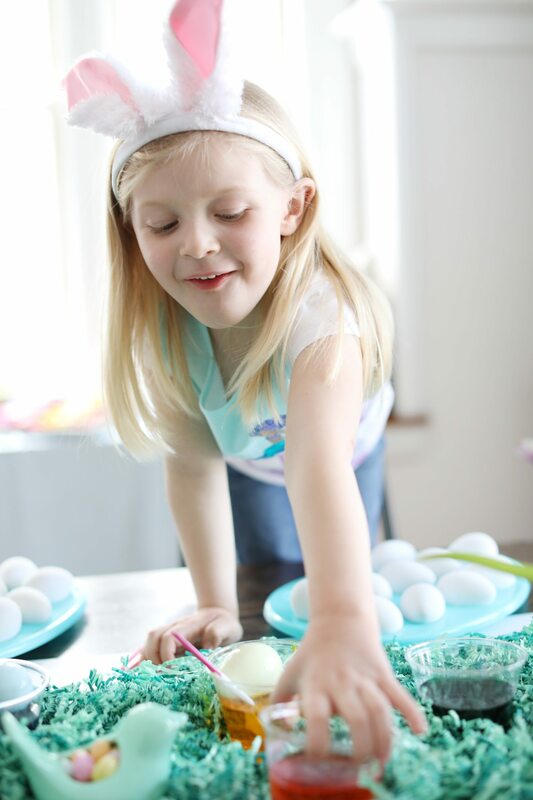 Today I’m teaming up with Walmart to share all the details of our little egg decorating party with you! 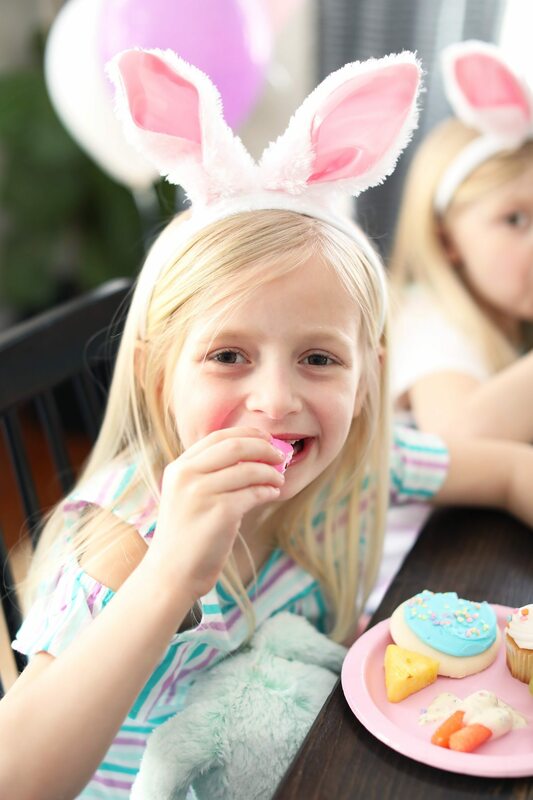 From the snacks to the decor to all the Easter goodies you see here, including all the kids’ cute outfits, you can snag everything at Walmart in one quick shopping trip and throw together your very own party. Let’s hop to it! 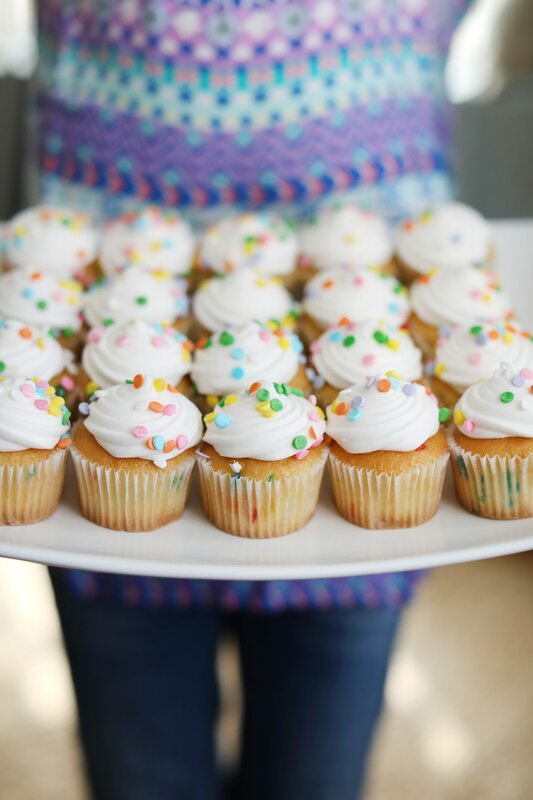 When I’m throwing a party with kids as the stars of the guest list, I like to keep the decor fun, colorful and easy. 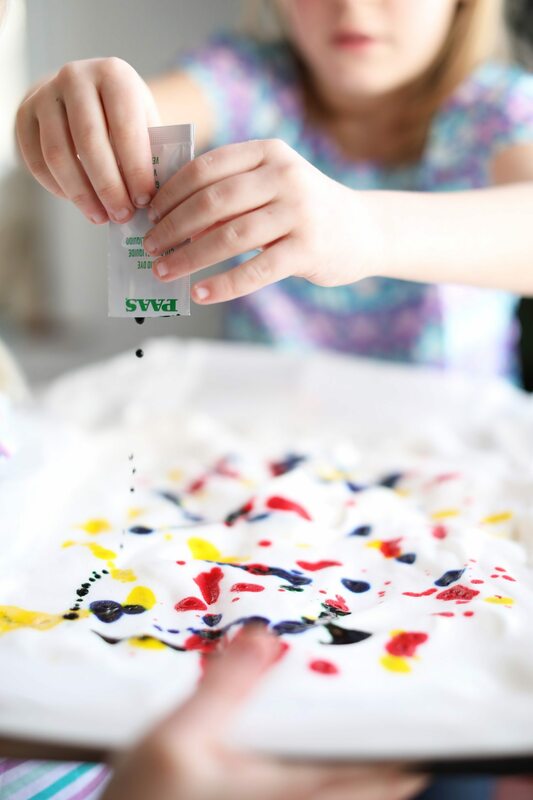 These kiddos in particular are not only Em’s big cousins, but also her best friends, so I wanted to set the stage in a way that was fun and exciting for them, but still practical given we’d be dyeing eggs and generally making a mess. 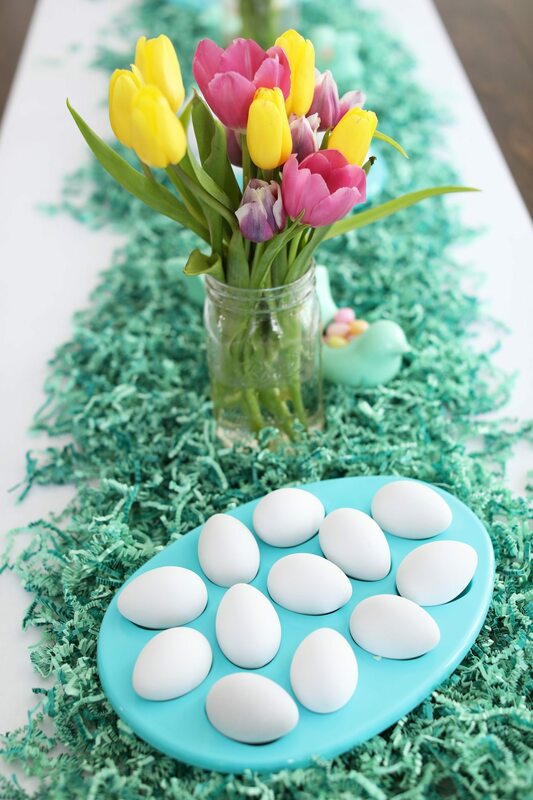 I made the simplest of table runners with a length of inexpensive white Elmer’s banner paper for easy clean-up and then created a fun bed of grass on top using the prettiest paper Easter grass. 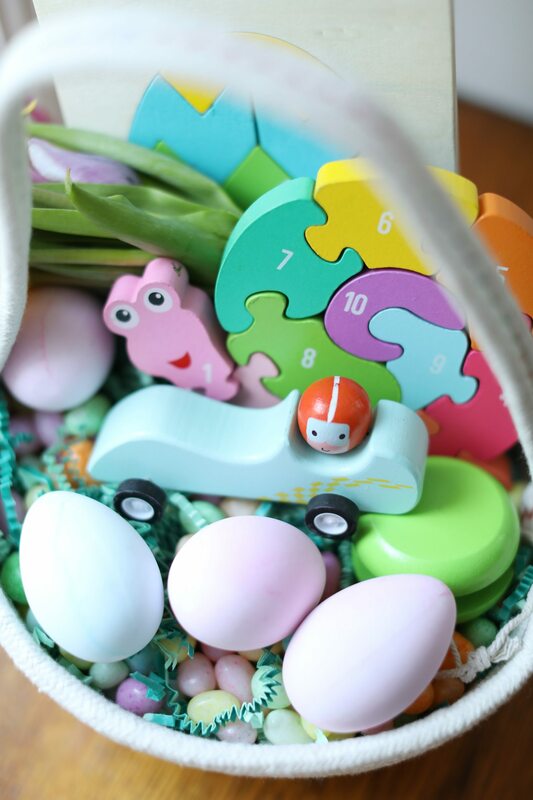 (Tip: You can scoop up the grass at the end of the party and use it in your kids’ Easter baskets, too!) 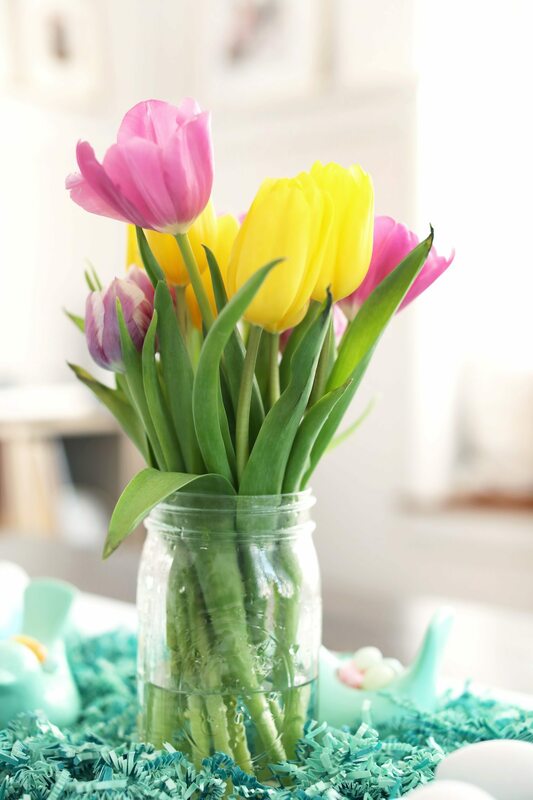 Plastic egg trays (which I’m pretty sure are actually meant for serving deviled eggs) placed along the table held our ready-to-dye eggs and mason jars full of tulips added a colorful burst of spring color. 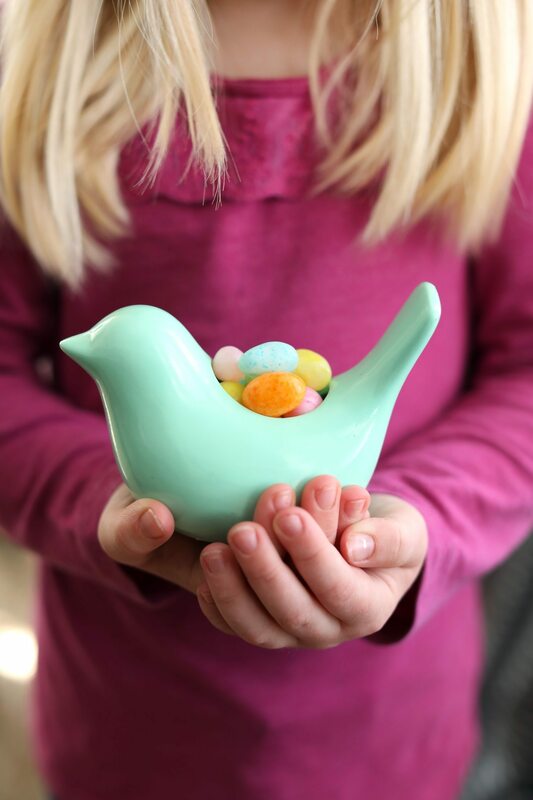 The finishing touch were tiny little ceramic birds piled high with pretty jelly beans, and a bunch of colorful balloons around the room, blown up with a Balloon Time helium tank. 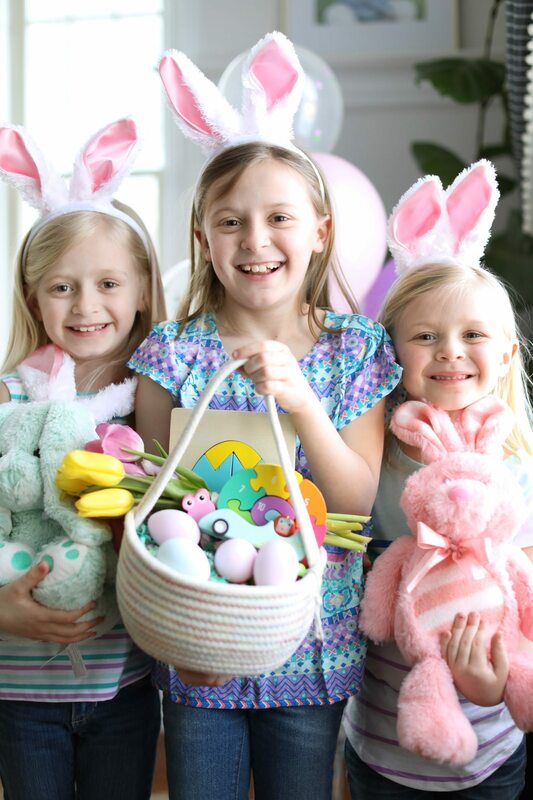 Everything was sourced in the Easter, party and craft sections at Walmart, which is my favorite part about shopping there. You can find the most incredible selection of items at impossible to beat prices, and for a busy mom there is nothing I love more than being able to bang out all my shopping in one stop. This is not the kind of party where I want to spend a ton of time in the kitchen prepping food, and honestly with kids, it’s completely unnecessary. 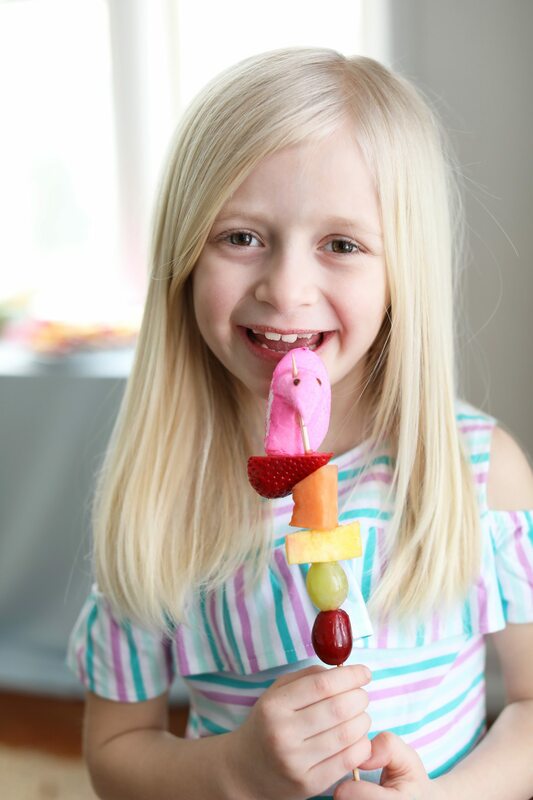 Fruit kabobs skewered with berries, grapes, pineapple, melon and Peeps were a huge hit. Simple white trays holding seasonal sugar cookies and mini cupcakes from the Walmart bakery were better than anything I could have spent hours baking. Other than that I served up a bowl of clementines and a fun spread of baby carrots and ranch dressing served up in a head of lettuce to make sure the snacks were kid-friendly and colorful, but not just endless sweets. 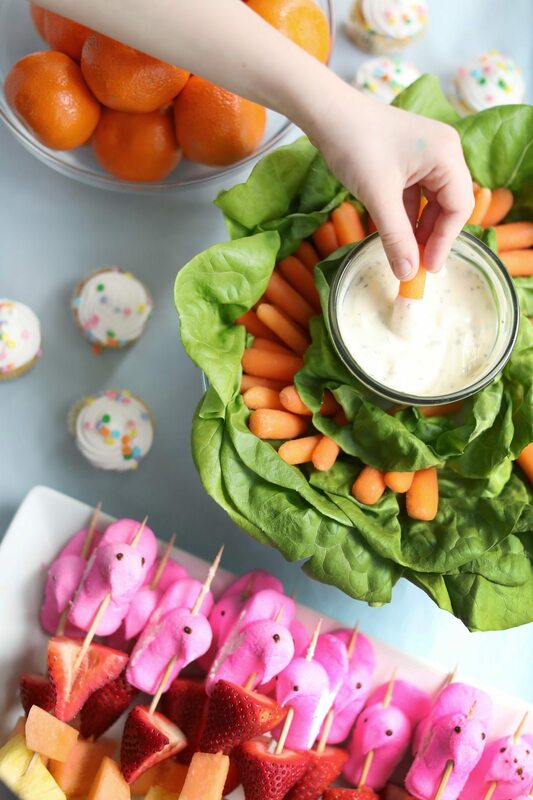 The carrots and ranch (or “Easter Bunny food” as I dubbed them) were such a novelty for the kids, when it took me only a few minutes to tuck carrots into a head of lettuce to impress them. 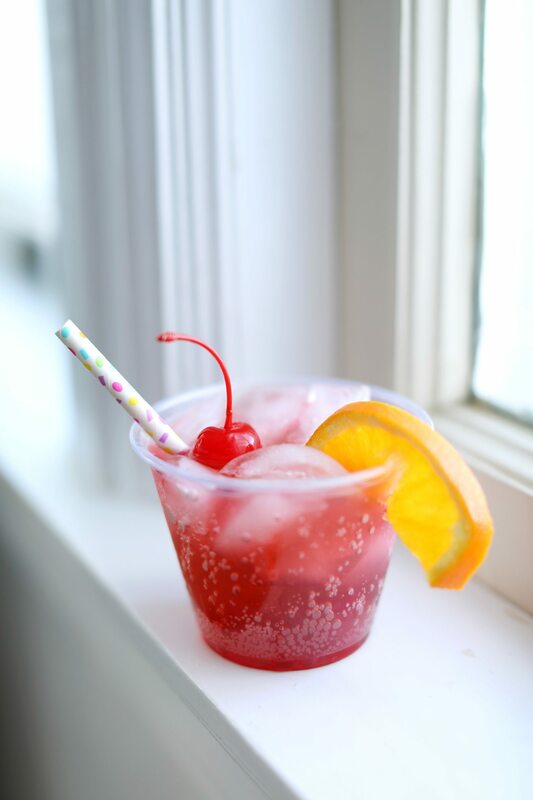 Uncle Bob made them Shirley Temples garnished with orange slices and maraschino cherries with colorful paper straws, and they were all in love with their “fancy drinks.” I love that Bob and I were able to divide and conquer the shopping list at Walmart so while I was picking out Easter goodies, he was in the produce section loading up on fruit, getting it all done at the same time. 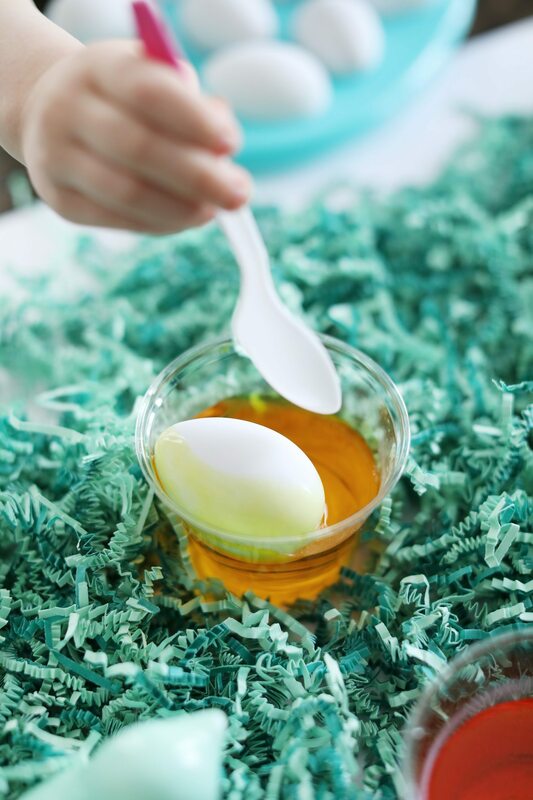 To color our eggs, I tucked clear plastic cups with dyes into the grass along the table. It looked so cute and it also helped keep the work surface mostly free of spills. 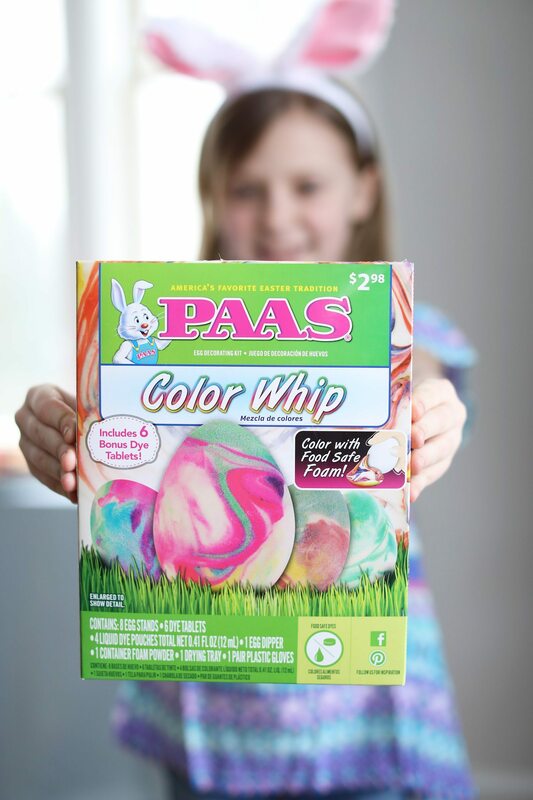 The kids went coocoo (in a totally good way) over the Paas Color Whip decorating kit! 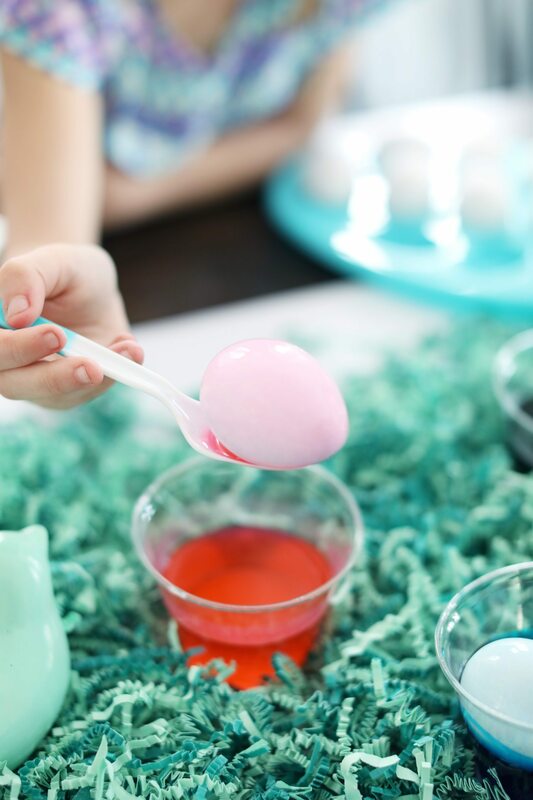 This kit makes creating trendy dyed eggs a cinch with packets of food-safe foam powder that you quickly whip up and spread out on a cookie sheet or baking pan before adding drops of liquid dye to create the prettiest swirled eggs. 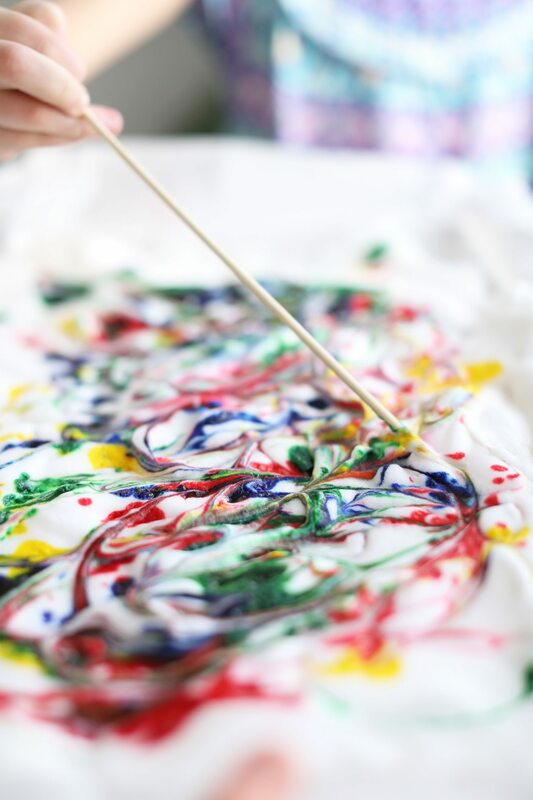 Eggs are then rolled around in the foam mixture, sit for a few minutes and get patted dry to reveal the cool colors. 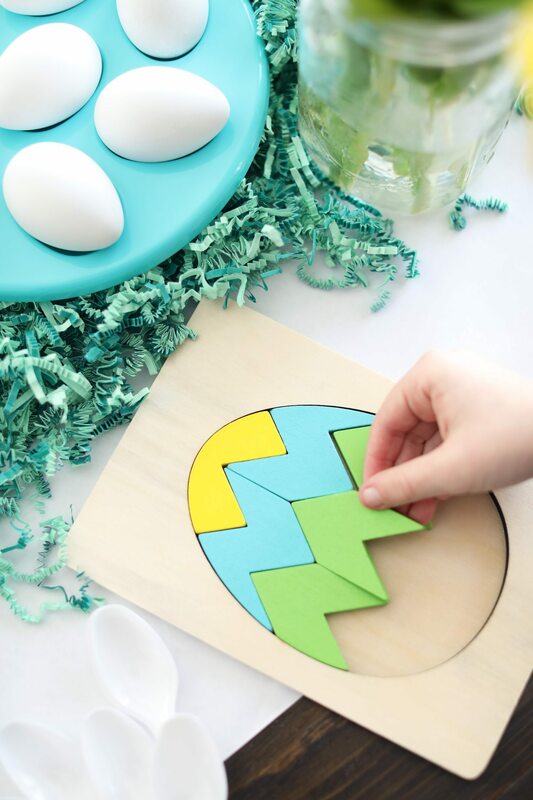 The two moms in the room loved that creating really special, one of a kind eggs was so simple. All the supplies came in one inexpensive kit that took all the fussiness out of the prep work and allowed the kids (ages 8, 6, 4 and 2) to get hands on in helping. 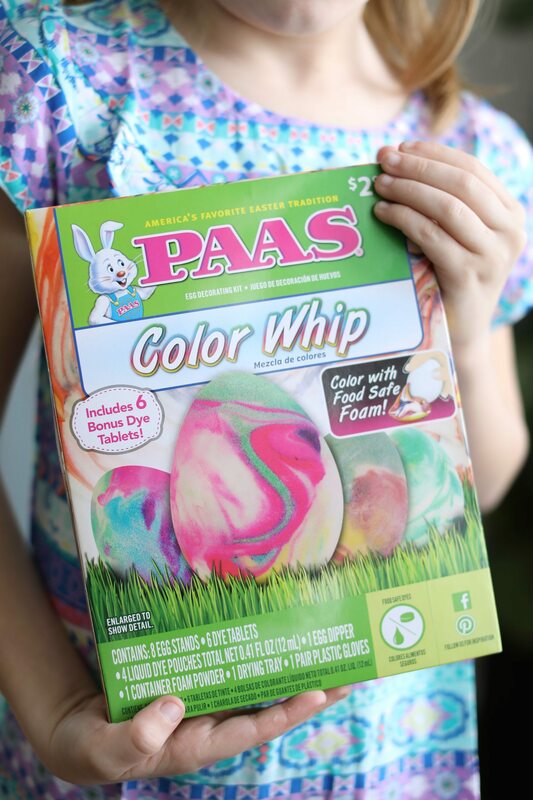 Kids feel so empowered when they can take a bit control over just about anything and the Paas kit made that really easy and exciting for them! 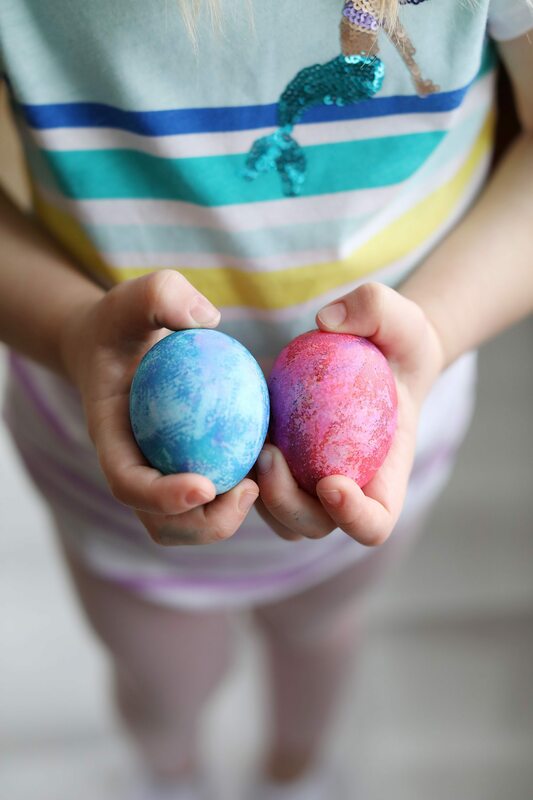 Now they have super pretty eggs, just like the fancy ones they’re seeing all over the internet these days, and we didn’t have to stress out over collecting a bunch of supplies. Win-win for both moms and kids! The final details for the day were cute little takeaways for each of the kids, which I found in the Easter section at Walmart amongst all the basket stuffers. 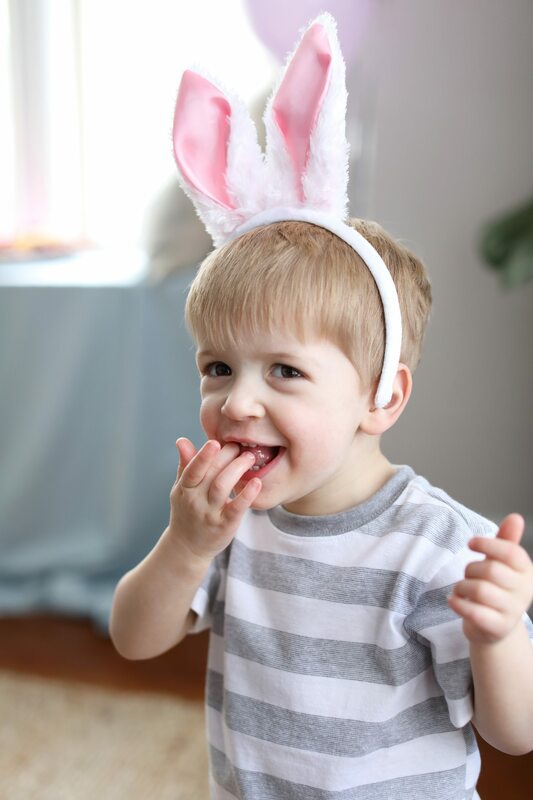 A pair of bunny ears for each kiddo was absolutely essential. 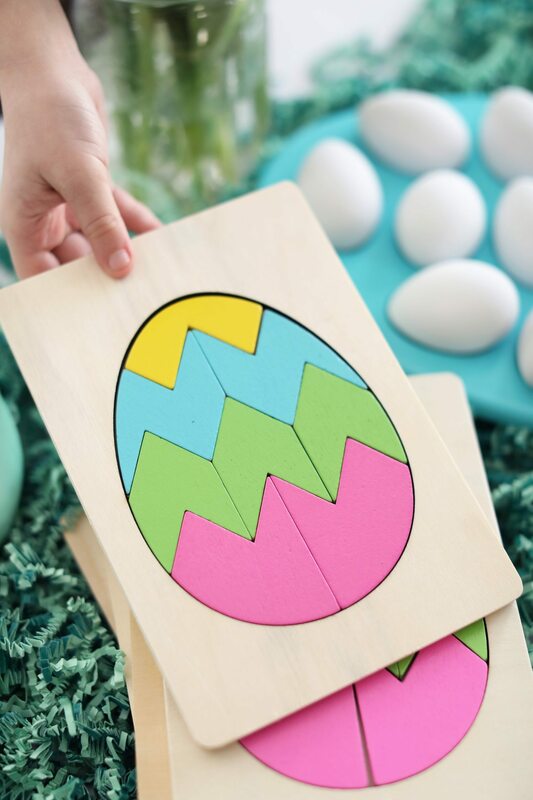 Little wooden puzzles to take home at the end of the day also made for a nice diversion when some of the little ones got bored with the egg dyeing part of our day. 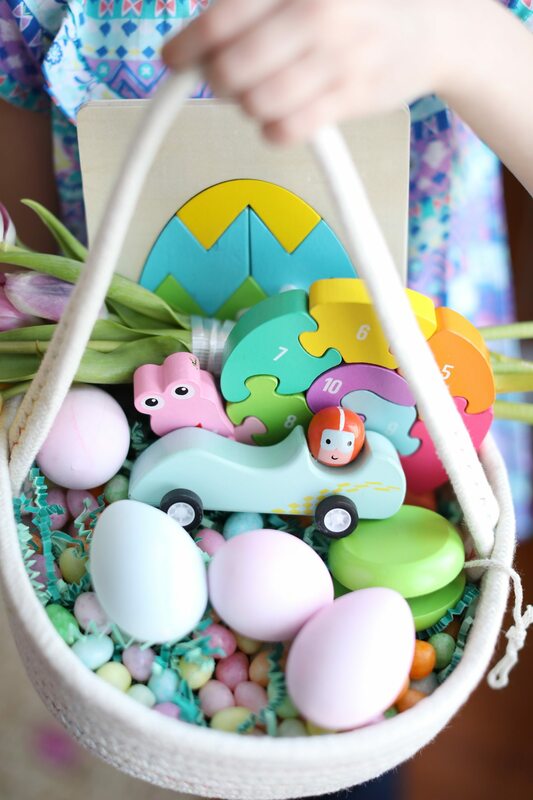 Walmart has the best baskets (like these rope baskets that I adore) and baskets stuffers, with everything from the cutest stuffed bunnies to adorable wooden cars and yo-yos. 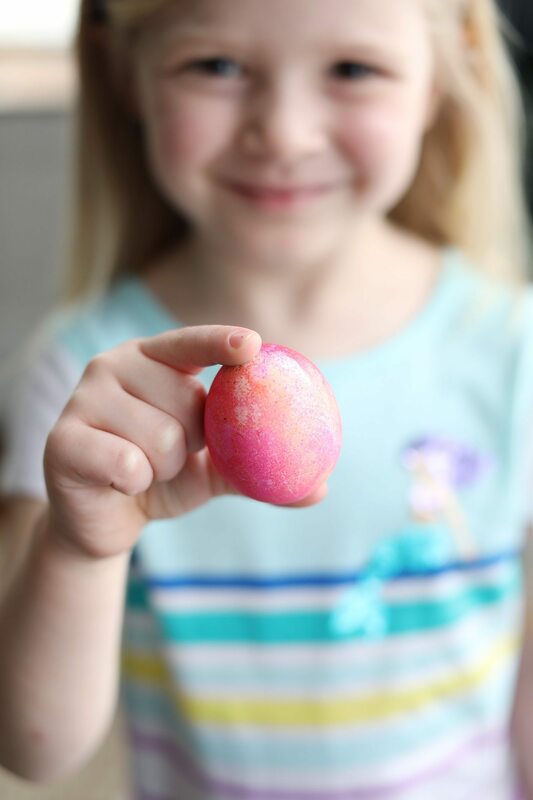 We had such an amazing time, the kids had a blast, and getting together to color Easter eggs will definitely be a tradition we keep up in the years to come. 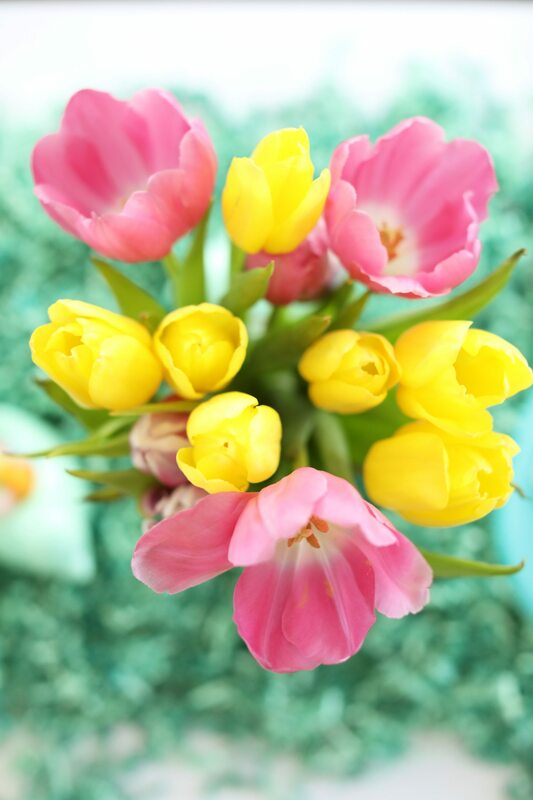 With Easter just a few days away, be sure to pop by Walmart for all of your celebration, decorating and Easter basket needs!